A lipid is an organic -- meaning carbon-based -- molecule that doesn't dissolve well in water. Most lipids consist of primarily carbon and hydrogen, but some contain oxygen, phosphorus, and select other elements as well. Cholesterol is an important lipid that, like all lipids, is water-insoluble. It has a variety of roles in the body. There are many different biologically significant lipids. The most familiar lipid to many individuals is fat, which is the common name for a type of molecule called a triglyceride. Triglycerides are the fats in your diet and also the type of fat you store in your body for energy. Cholesterol is also a lipid, due to its solubility behavior. Other lipids include phospholipids, which form cell membranes, and waxes, which are protective coatings on many plants. The cholesterol molecule, like all lipids, consists mainly of carbon and hydrogen. It also contains some oxygen, however. The elemental makeup and chemical structure of molecules determines their solubility behavior. 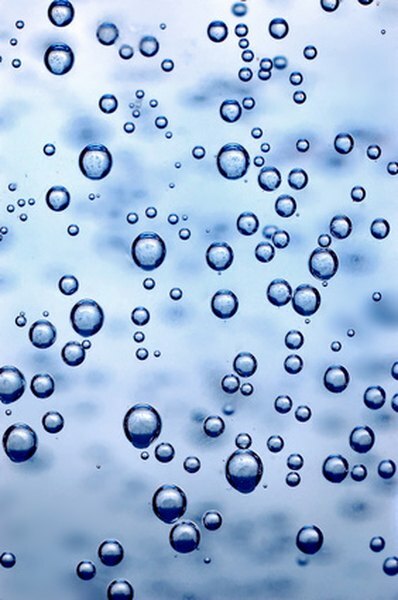 In general, carbon and hydrogen decrease the ability of a compound to dissolve in water, while oxygen increases it. There isn't sufficient oxygen in cholesterol to cause it to dissolve in water, resulting in its classification as a lipid. While you may think of cholesterol as a "bad" molecule that leads to heart disease and atherosclerosis, in actuality, it's critical to cellular health and human function. Your cells use cholesterol to help regulate the fluidity of the cell membranes -- too little cholesterol causes membranes to be too fluid, which doesn't maintain cell integrity. You also need cholesterol to make the steroid hormones -- which are also lipids -- and bile salts. The term "lipid" in reference to cholesterol shows up in the name of the two cholesterol transport molecules, HDL and LDL. Low-density lipoprotein, or LDL, is often referred to as "bad cholesterol." It is, in fact, a protein and lipid particle that transports cholesterol to the cells. However, it is considered "bad" because it can accumulate in your arteries, which can lead to atherosclerosis and an increased risk for heart disease. HDL, or high-density lipoprotein, on the other hand, is a protein and lipid particle that transports cholesterol away from the cells; it returns cholesterol to the liver for excretion.